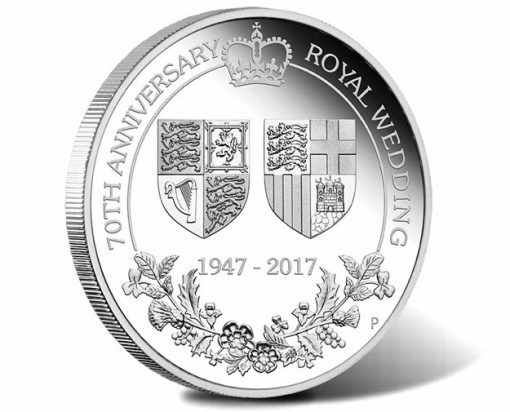 Coins celebrating the platinum wedding anniversary of Queen Elizabeth II and the Duke of Edinburgh take center stage this month at the Perth Mint of Australia. Also appearing in September are lunar coin program issues highlighting the 2018 Year of the Dog. Other new products include a Christmas star-shaped coin, a silver kangaroo coin and a wedge-tailed eagle gold coin. Images and summary information for the August collector coins is available below. On November 20, 1947, then Princess Elizabeth (now Queen Elizabeth II) married Lieutenant Phillip Mountbatten at Westminster Abbey. 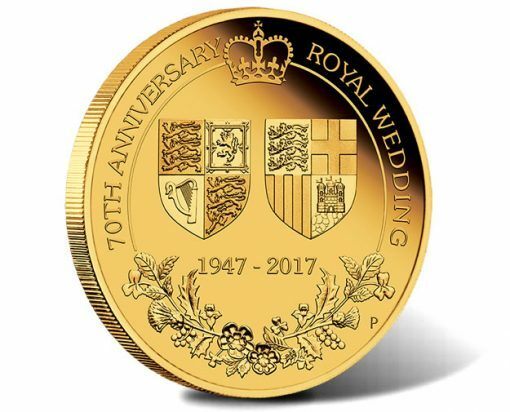 Seventy years later, the couple will celebrate their platinum anniversary and the Perth Mint issuing several new precious metal coins to mark the occasion. Included in the new line-up are a 2oz platinum coin, a 2oz gold coin, a 1/4oz gold coin and a 1oz silver coin. All are issued with the same basic design elements — a reverse showing the shield of the Royal Coat of Arms of the United Kingdom alongside the shield from the Coat of Arms of His Royal Highness Prince Phillip, Duke of Edinburgh. 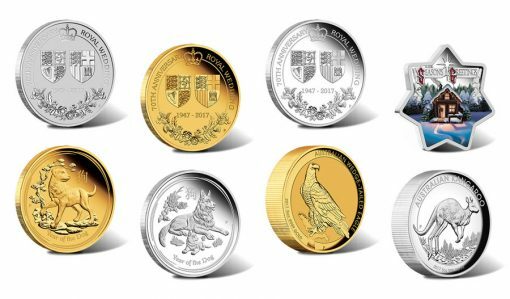 Mintages are limited for the 70th anniversary commemoratives with levels at 250 for the platinum coin, 350 for the 2oz gold coin, 750 for the 1/4oz gold coin, and 5,000 for the silver coin. 2018 is the Year of the Dog and the Perth Mint is commemorating the time with new products in its Australian Lunar Gold Coin Series. Available 99.99% gold offerings encompass a 1oz coin, a 1/4oz coin, a 1/10oz coin, and a three-coin set with each size. The reverse of each collectible offers the likeness of a single Labrador Retriever standing on a rock with a pine tree in the background. Issue limits for the Year of the Dog gold coins is 3,000 for the one ounce, 5,000 for the quarter ounce, 4,000 for the tenth ounce, and 1,500 for the set. A different reverse design appears on companion Year of the Dog Lunar Silver Coins. They feature a German Shepherd and pup lying in grass with Chinese peony flowers in the background. Available 99.99% silver products include 1 kilo, 1oz and 1/2oz coins along with a three coin set. Issue limits are 500, 5,000, 8,000 and 1,000 respectively. The Perth Mint extends its Kangaroo program with a new 5oz silver coin. 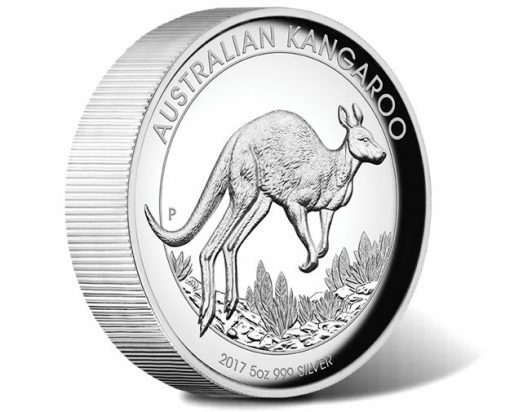 An adult kangaroo bouncing across the Australian outback is showcased on its reverse side. Each is produced to proof quality in 99.9% pure silver. Mintage limit is 1,000. 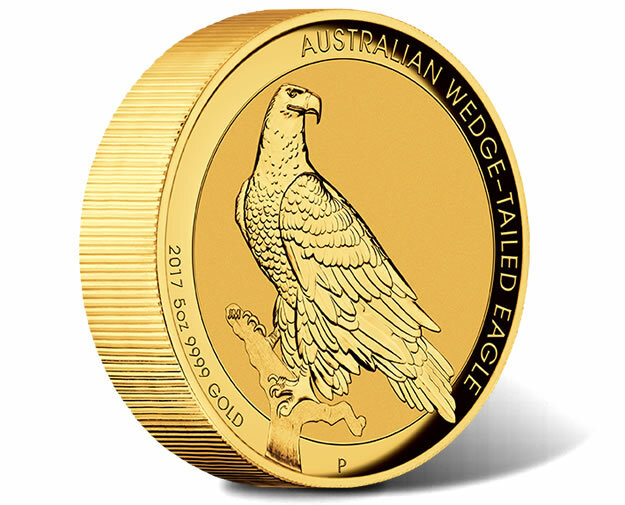 John M. Mercanti, former U.S. Mint Chief Engraver, designed the likeness of the wedge-tailed eagle that appears on the reverse of this gold coin in high relief. The design has the eagle perched on a tree branch. 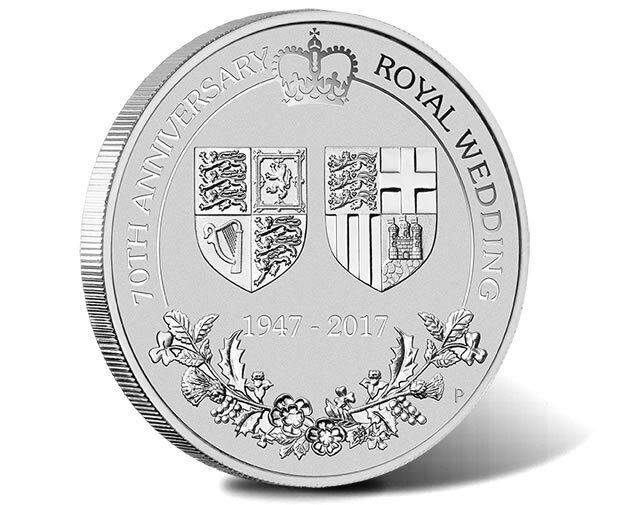 Just a few of these will be available with its mintage of only 75. Each ships in a wooden display case. 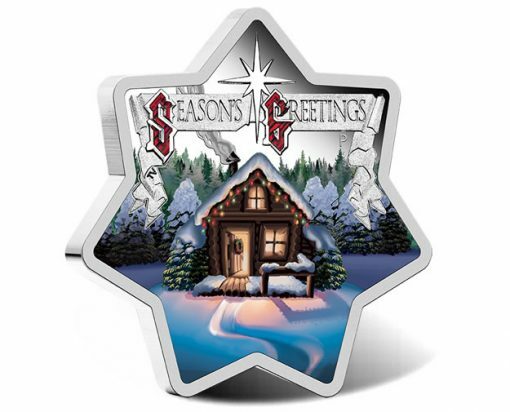 Christmas is just around the corner and the Perth Mint is offering its2017 Christmas Star-Shaped Silver Proof Coin to help celebrate. Each 1oz piece ships in a capsule with a ribbon suitable for use as a Christmas tree ornament. The colorful, 99.99% pure silver coin show a snow-covered log cabin lit with Christmas lights. Its mintage limit is only 3,000. 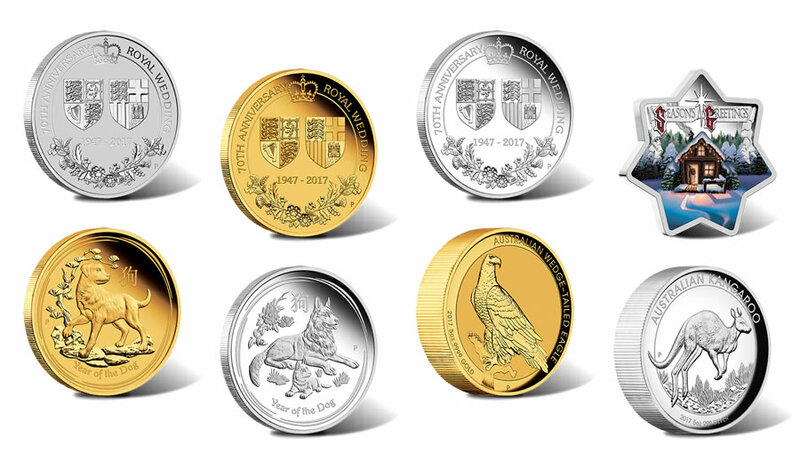 To find out more information about these or other Australian collector coins, visit the Perth Mint’s website at www.perthmint.com.au. You may also follow this affiliate link to see the Mint’s new releases.